When the U.S. Army opens the new Ground Systems Power and Energy Laboratory (GSPEL) on April 11, officials will proudly unveil 30,000 square feet of research space, eight distinct state-of-the-art labs and one of the world’s largest environmental testing chambers capable of testing equipment in temperatures ranging from a frosty minus 60°F to a blistering 160°F. 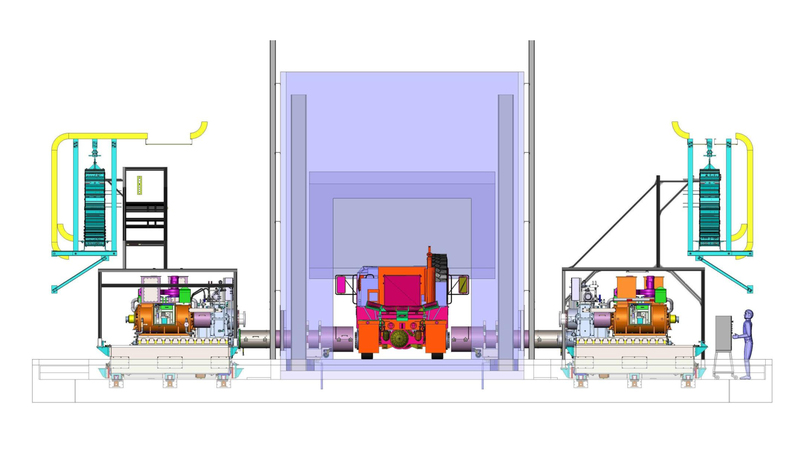 This computer rendering of the Army’s Power and Energy Vehicle Environmental Lab shows dynamometers attached to a military vehicle inside the environmental chamber. GSPEL gives the Army overarching, full-spectrum testing and evaluation capabilities. The GSPEL – a comprehensive addition to the Army’s Tank Automotive Research, Development and Engineering Center’s (TARDEC) laboratory system at the Detroit Arsenal – offers numerous testing capabilities and an unmatched combination of resources in a single lab, according to TARDEC Interim Director Jennifer Hitchcock. Two GSPEL labs back up that point: the Power and Energy Vehicle Environmental Lab (PEVEL) and the Calorimeter Lab. PEVEL is GSPEL’s centerpiece and features one of the world’s largest environmental chambers. The lab enables testing at temperatures from minus 60°F to 160°F, in relative humidity levels from 0 to 95 percent and with winds up to 60 mph. The lab’s dynamometer and environmental chamber combination allows full mission profile testing of every ground vehicle platform in the military inventory in any environmental condition. Calorimeters are commonly used in vehicle testing facilities to measure the heat of chemical reactions, physical changes and heat capacity. 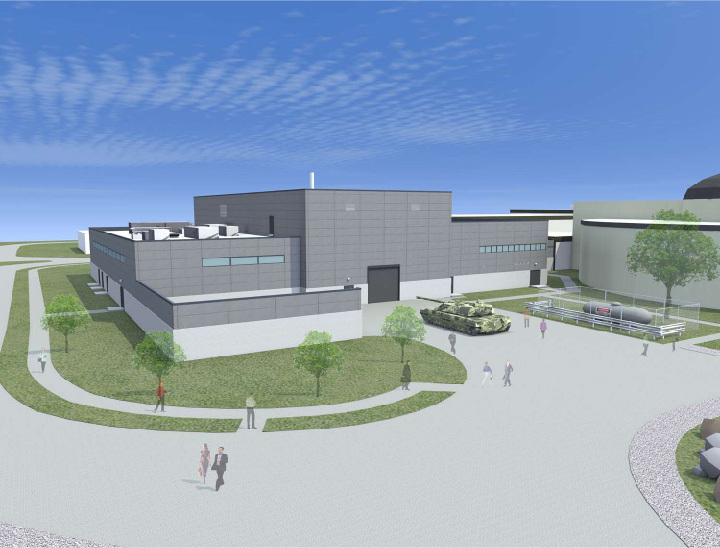 However, the GSPEL's Calorimeter Lab is the world’s largest and enables researchers to test radiators, charge-air coolers and oil coolers individually, or all three simultaneously. Other GSPEL labs, each with advanced capabilities, are Air Filtration, Thermal Management, Power, Fuel Cell, Hybrid Electric Components and Energy Storage. GSPEL offers shared access to industry and academia to facilitate the exchange of information and ideas to develop emerging energy technologies and validate ground vehicle systems – research that could also help the Nation achieve energy security goals. While closed to the public, the grand opening ceremony is expected to draw top government, industry and academic leaders – many of whom are or may soon be GSPEL’s collaborative partners. TARDEC's GSPEL This computer rendering of the Army’s Power and Energy Vehicle Environmental Lab shows dynamometers attached to a military vehicle inside the environmental chamber.